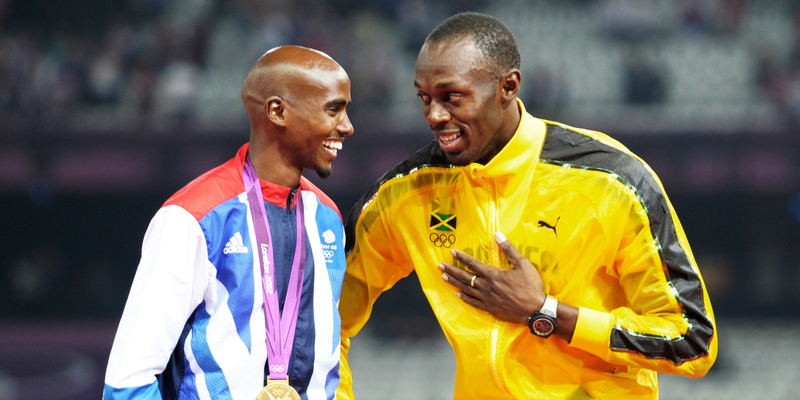 Fans of the sport hoped the days of Usain Bolt and Mo Farah hanging up their running shoes would never come. For many, Bolt and Farah are seen as super heroes by their supporters around the world and as every super hero must do at some point in their lifetime is call it a day. It’s the perfect setting for two world champions to have their retirement party at a venue they will always hold cherished memories from back at the London 2012 Olympics. Both athletes crossing the finish line before their opponents with the Jamaican sprinter adding three Olympic gold medals to the other three won in Beijing. And the British distance runner tasting Olympic glory for the very first time to become a double Olympic champion. This year’s world athletics has sold many tickets for the 10 day event including sold out sessions for the 100m decider and Farah’s bid to defend his 5,000m and 10,000m crowns. It is incredible how one man can fill up a stadium that holds over 80,000 spectators. Bolt is the face of athletics which has sure helped the organisers of the worlds, the Diamond Leagues and the Olympic games over the last few years to produce high sales and fill up the empty seats. The build up and during the course of the previous world athletics faced much bad publicity with reports of athletes being investigated for taking illegal substances. Many of whom were resulted with a lifetime ban. While all the drama was happening off the track there was one determined sprinter from Kingston, Jamaica returning to the Bird’s Nest. The Bird’s Nest was where it all started for the fastest man in the world in 2008. Not only did Bolt win his first three Olympic gold medals in the 100m, 200m and the 4x100m relay, but he rewritten the history books breaking world records in all three races. Bolt’s arch rival Justin Gatlin a man who somehow still has access to the track after serving two doping bans stood two lanes across. When the announcer would address the name of each athlete competing in all nine lanes there would be a cheer from the crowd. As expected, Bolt received the loudest but it turned rather ugly very fast when the name ‘Justin Gatlin’ came out of the stadium speakers. From applauds to boos at the 2005 world champion, it displayed the good versus the evil that night. It seemed to be a race Bolt could not afford to lose, arguably the biggest one of his career to date. Not because of the defence bid of holding onto his world titles, not because of his reputation, but because of the sport’s reputation. For Gatlin to win any big race with Bolt involved would attract many unhappy fans and perhaps portraying a bad image to the media and the audience. Imagine how damaged athletics would be if an athlete with a bad history would become a world champion. With everything that was going on in the background as the sport was going through some dark days and still is now, Bolt performed an upbeat distraction. Farah’s coach Alberto Salazar is currently facing allegations in doping and has been facing it for over two years. Nothing has been proven enough for Salazar to go down the same direction of the likes of Lance Armstrong and Ben Johnson. Mo has come out and shared with the media his innocence and believes any athlete caught with illegal substances should be banned from the sport for life. 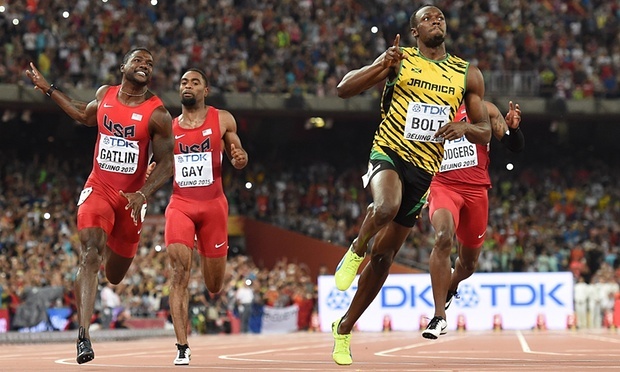 Bolt has said in build-up to London’s world athletics that if doping continues than this great sport will die. The sport will face some challenges after London 2017 without the advantages of Bolt and Farah’s presence to sell tickets. But in any sport, a popular and legendary status of a sportsman can not be at the top forever. They are there for challengers to be determined to replace a champion from Roger Federer in tennis to Tiger Woods in golf. They’ll be mixed feelings over the next week but can be exciting times ahead for new fresh faces to burst onto the scene. Whether it is a new fastest man on the tour with the potential of Canada’s Andre De Grasse, who achieved bronze at Rio 2016, taking over from Bolt. Many questions will be asked after London 2017. Who will replace Bolt? Who will be Farah’s successor? What next for athletics? An end of an era is just days away. We may never see a long and dominant display from Farah and Bolt in their fields ever again. 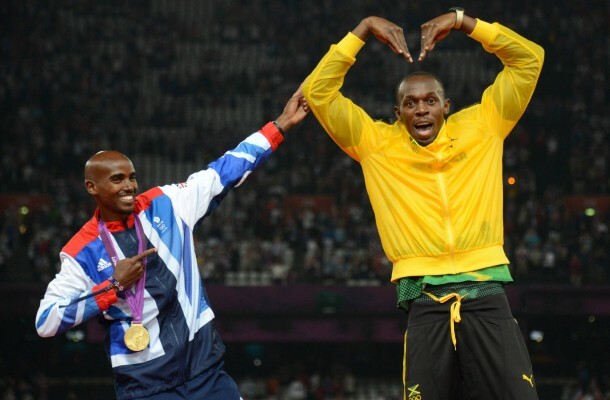 Are you going to miss the athletic existence of Usain Bolt and Mo Farah?